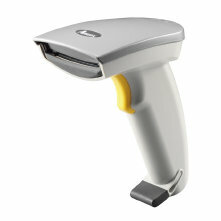 The sleek new AS-8000 is the ideal scanner for retail applications. 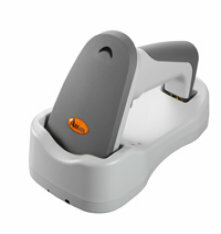 Its light-weight, easy-to-handle form factor makes scanning a breeze. 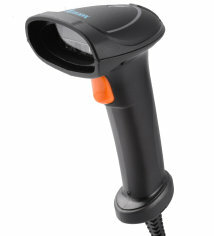 The AS-8000 reads all commonly used barcode symbologies from contact up to a distance of 125mm. 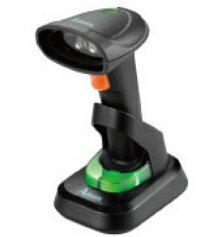 The Argoscan 8120 scanner offers excellent scanning performance at an attractive, entry-level price. 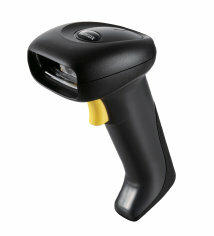 The AS-8120 reads from contact to 150mm from the barcode and provides accurate decoding in seconds. 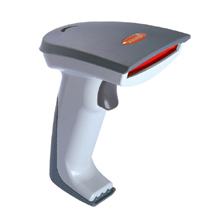 The AS-8250 long range scanner is suitable for a wide range of applications. The fast, accurate and durable AS-8312 Ultra Long Range Imager is perfect for tough industrial environments. as the full range of barcode symbologies. 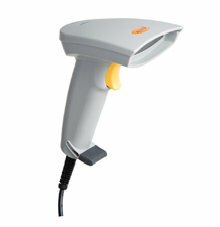 The AS-9500H imager is a 2D scanner made with anti-microbial materials for healthcare and similar applications. Imagers are difficult to sterilize, and being highly mobile, they have the potential to carry germs from one area of a hospital to another. 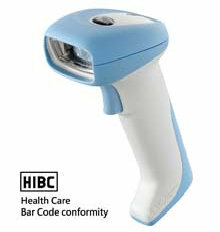 Using anti-microbial material certified by health and environmental officials, and offered in white or powder blue, the AS-9500H imager offers an ideal 2D barcode scanning tool for the healthcare fields. AI-6800 Series is the first rugged 1D linear scanner in Argox, with IP65 you can use it in severe environment like the Sahara desert or rain forests of Amazon with heavy humidity. 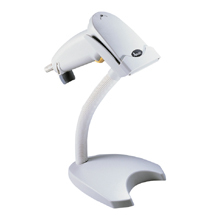 Unlike the stand design and look of industrial barcode scanners, AI-6800 has more stylish and ergonomic design for function and aethetic. AI-6800 Series is compatible to standard 1D linear barcode, it also remove any reflection interference from the LCD display. 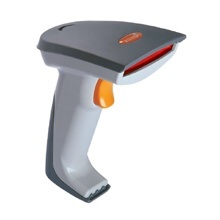 AI-6800 Series has high density resolution that can capture the code on 3mil barcode. 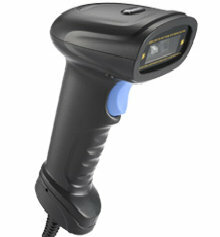 AS-9300 is the new generation of 2D barcode scanner. Quad-core chip technology and powerful scan engine with excellent performance highly increase the reading capability. Damaged barcodes, dirty barcodes and illegible barcodes can be read easily. 2D barcodes are used widely nowadays, for emample QR Code for the ticket information, PDF417 on the flight tickets and ID cards. 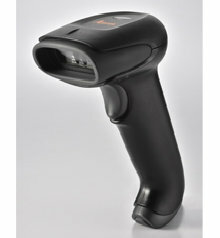 AS-9300 also can capture the barcodes information fast and accurately to LCD screen or mobile phone screen. Fulfill your barcode reading requirements. AS-9600 is a general purpose array imager targeting middle segment of the 2D market. With competitive pricing, outstanding performance, ergonomic design, and optimal functionality, it meets almost all the demands of the applications. AI-6801 is the first rugged 1D linear scanner in Argox. Industrial grade IP65 dust and water resistance with 1.8 meters safe drop distance protection. It will withstand sudden drops and a variety of collision. 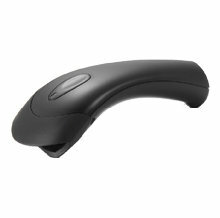 Unlike the stand design and look of industrial barcode scanners, AI-6801 has more slick and ergonomic design for function and aethetic. AI-6801 is compatible to standard 1D linear barcode, it also remove any reflection interference from the LCD display. Under Presentation-mode can also reduced the inconvenience while you are in the retail or packaging. AI-6821, the very first model of Argox wireless 2D Imager Scanner for light-industry grade, eagle-eye grade reading engine that has enhanced performance on 4 mil labels for small IT-components, jewelry labels and so on. The transmission rate is also 3 times faster than the competitors within its class which it will greatly increase your efficiency and minimize your downtime. AI-6821 has built in cross-line laser targeting design which allows you to work perfectly under ultra-white light and insufficient light source environment with on demand scanning accuracy.